In some countries, there is that one specific dish that strongly represents that nation’s identity. Of these national dishes, some are very tasty and flavourful while others are a little more unusual. So at Hotels-Fairy.com we decided to write about the top 10 national dishes in the world in order to give you the heads up before you choose your travel destination. 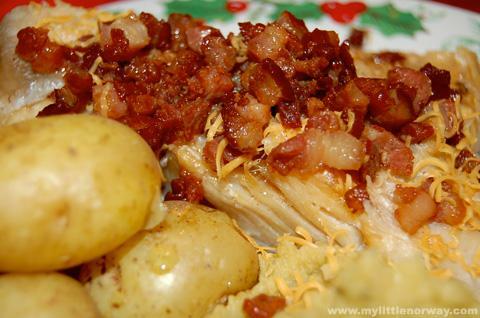 No matter how weird these dishes may be, they are definitely worth trying at least once. After all, eating these traditional foods is often the best way to experience different cultures. During your travels, don’t hesitate to try something different, just know your limits, because the last thing you want to experience is a holiday illness. One of the more strange national dishes is this Norwegian one made up of air-dried or salted white fish and lye. Although very pungent in odor, this gelatinous cured fish is widely consumed. In many Nordic countries, the high season for lutefisk is during November and December. Another food with a strong odor is kenke a type of fermented and partially cooked dough. It is commonly eaten for breakfast, lunch and dinner and is can be served with fried fish or a stew of crushed tomatoes and pepper. Much like their South American counterparts, some Brazilians consume rodents. Capybara, an extremely large rodent, is not the official national dish, it certainly is one of the strangest that is consumed throughout the country. 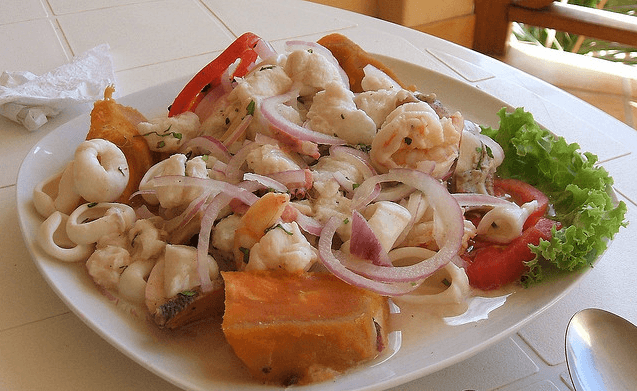 In Peru, guinea pig or cuy is popular, however, the most celebrated dish is ceviche, a raw fish marinated or “cooked” in citrus juice. The slightly chewy, but delicious fish is typically flavored with red onion and aji pepper. Because of its acidity, many Peruvians only consume the dish at lunchtime. Originally, saltfish and ackee was a dish that only slaves ate, but now, it has become one of the most popular dishes. It is made by boiling the ackee fruit and then sautéing it with salt-cured cod and seasonings. When served for breakfast, it can be paired with bacon and fresh tomatoes, and for dinner it is commonly served with fried plantains or hard dough bread. This dish, often referred to as “fire meat,” is considered one of the tastiest dishes in the world. It consists of thinly sliced cuts of prime meat that are marinated in sesame oil, garlic, ginger, sugar, wine and soy sauce. It is then grilled and served with lettuce or spinach leaves and sometimes alongside kimchi, another national dish made of fermented vegetables. Another rich and flavorful national dish is Moussaka, the Greek version of lasagna. This dish is made with eggplant and meat – usually veal or lamb – that is seasoned in cinnamon, pimento and white wine. Our favourite dish among the top 10 national dishes guide. Goulash or Gulyás is a hearty beef and vegetable stew “herdsmen” in Magyar. For years, herdsmen ate this dish because it was so filling. Its strong flavors come from the paprika and slow-cooked beef shin, shoulder or shank. Not only is the term goulash used to refer to the dish, but it’s also a national symbol of the country. This beloved dish is made of bulgur and finely ground, fresh meat that is spiced to perfection. It is served a variety of ways, such as fried, roasted and grilled, but is often considered the tastiest when eaten raw. Although not a dish, this popular Mongolain beverage is considered the national drink. Airag, a carbonated and slightly alcoholic drink, is made from fermented mare’s milk. According to tradition, it should be stirred at least 1,000 times to achieve the right consistency.